Firewood Pilliga Regular Boot Pick Up 125kg (FAA Approved) : BCSands Online Shop - Building and Landscape Supplies, we supply Sydney's best! 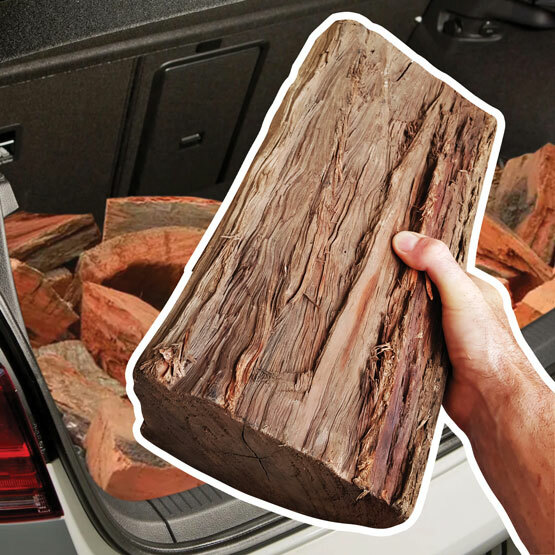 Pick up your own firewood at our Taren Point base with this generous 125kg boot load of large pieces of Pilliga Premium seasoned hardwood. Boot and Ute loads are for pick up only, but our firewood can also be delivered by crane truck in a 500kg bulk bag. We're based in the Sutherland Shire and deliver firewood throughout greater Sydney and beyond. For answers to some commonly asked questions, please take a look at our FAQs. And click on the photo to enlarge it and see more images!